Is Your Facebook Business Page Ready for 31,170 Visitors? We all know that Facebook users tend to pass along what interests them to their friends. 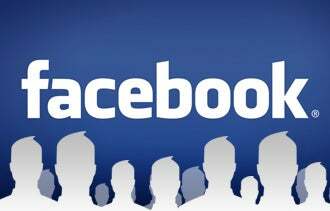 But a new survey suggests that more than 30,000 other Facebook members may wind up seeing it, too. The average Facebook user in the survey from the Pew Research Center's Internet & American Life Project has 245 friends, and their average friend has 359 friends. We also know that the friend of a friend is usually a friend too, but only 12 percent of all possible connections between Facebook friends is present. The survey would lead us to believe the average user can reach 31,170 people through friends of friends. This naturally bodes well for businesses that haven't made the leap yet to using Facebook to engage with customers, as well as those who are misinformed about the social utility's traction. After all, if their calculations are correct, that's a lot of potential awareness headed your way if you've got an active and appropriately targeted Facebook Page. What's more, the survey contradicts, as I have in the past, the naysayers who contend that people are bored with Facebook -- and social networking in general. This latest Pew report reasserts the contention that Facebook remains a successful social networking and advertising tool and it's not going to crawl off into a cave and die anytime soon. On the contrary, the report claims that the more experience a user has on Facebook, the more frequently that user makes status updates, uses the "Like" button, comments on friends' content, and tags friends in photos. Half the adults and three-quarters of the teenagers in the U.S. use social networking utilities and Facebook by far is the most popular. The average user picks up seven new Facebook friends per month, initiates three requests and accepts four. Eighty percent of friend requests that are received are accepted. Women average 11 updates to their Facebook status per month while men average six. On average Facebook users contribute about four comments/likes for every status update that they make. What has been the most successful way you've used Facebook for your business? Leave a comment and let us know.